To make your private Dubai city tour an unforgettable experience, we will do everything to make your Dubai vacation special. 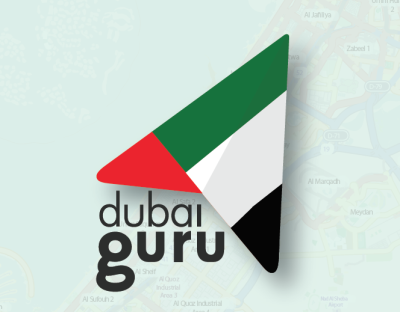 Our English & German speaking guides will pick you up directly from any hotel in Dubai. Our tours are carried out exclusively in very clean and comfortable cars with air conditioning. Hello from Dubai. My first name is Reda. 15 years ago, I spent my vacation here in Dubai. I can not say that it was love at first sight, because it was summer, it was hot and everything was so strange. And which I did not expect that would offer me a job as a tour guide here. I also worked in the travel industry in Germany. I started in 2001 as a tour guide for TUI Germany. From then on I took care of the guests of TUI and FTI Reisen for 6 years. Then I switched to Thomas Cook / Neckermann and was tour guide for the United Arab Emirates and Oman. In 2011, I decided to start my own business. I started with a single tour, offering motorcycles and Harley tours from Dubai. After more and more trips and activities were added and so Dubai Guru became within a few years the market leader in Dubai for private Dubai city tours and tours for the United Arab Emirates and Oman. We are very proud that we are listed as a premium supplier with over 1000 real reviews on Getyourguide, the world's largest online tour and adventure portal. The man for the rough. With Shehab we have one of the best, if not the best, safari riders in Dubai. Whether Hatta safari in the morning, or the Desert Safari with BBQ in the evening, He will pick you up from your hotel on time and spend some great hours with you. Shehab, nicknamed "Honkulullu" is from India, and used to drive round trips for Thomas Cook / Neckermann guests before becoming a safari driver.